Xiaomi returns with a smartphone, integrating Android One ! Take advantage of the Android software in its most pure with the Xiaomi Mi A2. Xiaomi Mi A2 : the know-how Xiaomi is associated with the mastery of Google. The Xiaomi Mi A2 is sold at PhoneDroid in its Global version with support for the 4G 800 MHz. The Xiaomi Mi A2 : concentrated technology with ease of use ! Although MiUi is recognized as one of the best overlays the current, it may not appeal to everyone. Anxious to meet ever more user, the brand Xiaomi now offers smartphones incorporating the Android One where the simplicity and fluidity reign ! In addition, you are sure to receive the Android updates before everyone else ! Equipped with the processor Snapdragon 660 Qualcomm, you will be surprised by the performance of the Xiaomi Mi A2 ! Don't even try, you will not manage to take the smartphone by default, even with the largest games on the Playstore ! The series of "A", including the Xiaomi Mi A2 is the second edition, brings together smartphones designed for the european market. 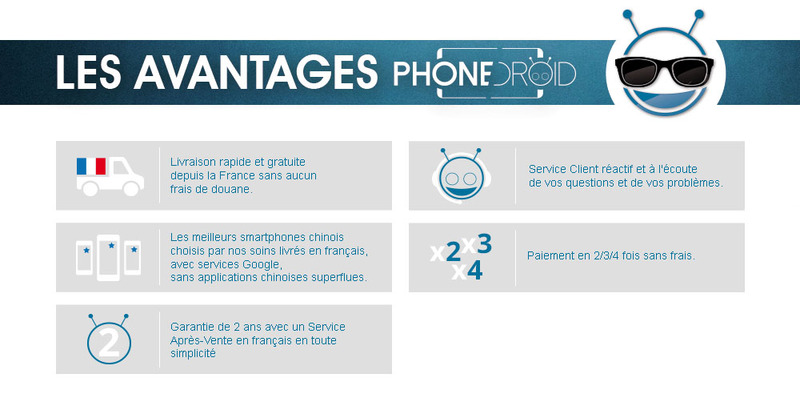 The integration of Android One allows you to benefit from all languages including French, Playstore and especially the support of the frequency bands needed to receive optimum of 4G. The Xiaomi Mi A2 is also supplied with a charger that is european. This year, the screens 18:9 invaded just as our smartphones. The display is thus lengthened, allowing the increase of the amount of information available at a glance. The edges refined associated with the new gestures, full-screen allow easier use with one hand despite the size of the screen. Equipped with a dual photo sensor provided by Sony, the Xiaomi Mi A2 will convince you by the quality of his shots. With this smartphone, you will no longer need to carry a second camera to capture all your best memories.